The Bible is rich and alive and sustaining to me. Every time I read it I find something new that I can apply to my life and grow. I want my kids to have that same experience, but until they’re ready, it won’t have that same life-giving affect. That’s okay, God designed it to be that way. I trust Him with their hearts. I consider it my obligation to fill their minds with Scripture so that when they are saved it will flood through them and they will have a head start in their Christian walk. By learning God’s Word at an early age they can understand how we know right from wrong, why we discipline, and where our family’s values originate. Once they know Christ as their Savior they will want to continue learning the Bible and know God even more! We have a Bible reading plan (they’re easy to find online) and we don’t miss our daily reading unless it is impossible to do it. Each child takes a turn reading each day. This increases their reading confidence and their patience when they’re listening. I am a kinesthetic learner and so are several of my kids. This means I learn better if I can’t actually DO something with my hands while I am learning and listening. I have the kids draw pictures or doodle while we read the Bible. It’s surprisingly helpful! Sometimes I will give drawing instructions like, “When I read these verses you draw a rainbow,” to give them something to think about while hearing the Word of God. While nothing should take place of the Bible, it’s nice to get perspective from gifted writers like Max Lucado. His book, He Chose You , is great for tweens and teens. He shares the message of the cross using illustrations and story anecdotes that appeal to this age group, like “Be Careful What You Ask For,” “The Ultimate ‘Been There/Done That! '” and “Spit, Sin, and Other Nasty Stuff We’d Rather Not Think About”. For the younger kids the new Bible storybook, I Will Follow Jesus by Judah Smith (Justin Bieber’s pastor) and his wife Chelsea Smith is a great one! 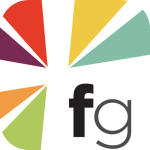 Look for books that use Scripture to illuminate their messages. Your kids need guidance from other wise people and books are a great way to get that. Both of these books will show your kids the characteristics of Jesus and how it is the most important relationship that they will ever have! When a struggle comes, it’s hard to go right then and find a verse to apply to your problem. That’s why memorizing is so important! I’m not expecting whole chapters (although some of my kids can do that more easily than others) but a verse or two worked on through the week then recited for the family during our weekend time together is a great way to bury those words in their heart. I love to do this as a game. I’ll challenge the kids to one or two verses and give prizes to see who has it ready by a certain day. Yes, I’ve even given money occasionally. I’m not above bribery. Getting the kids to see, know, hear, remember, love God’s Word is an essential part of our job. But it doesn’t have to be lifeless or boring, I know the Bible is so full of life that it inspires me with new ideas every day! 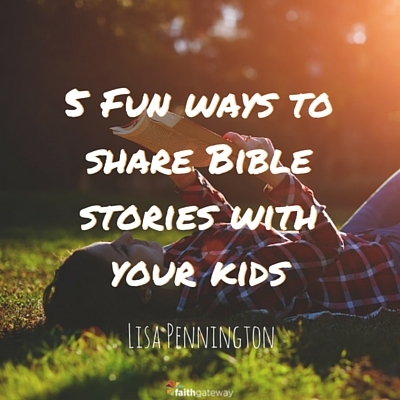 What fun ways do you share the Bible with your kids? !